The best of Canada's Yukon! 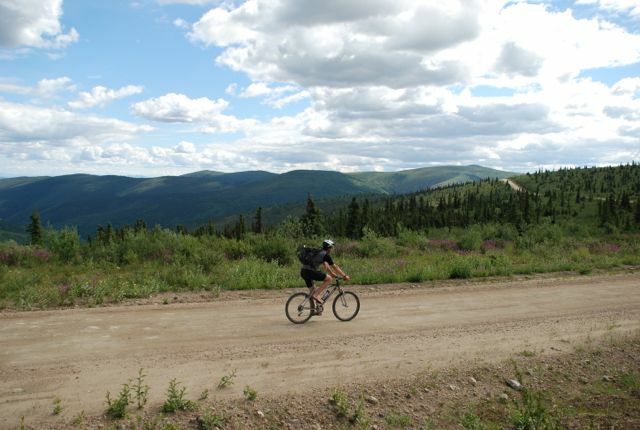 Combine canoeing and biking at the Top of the World with the annual Dawson City Music Festival. 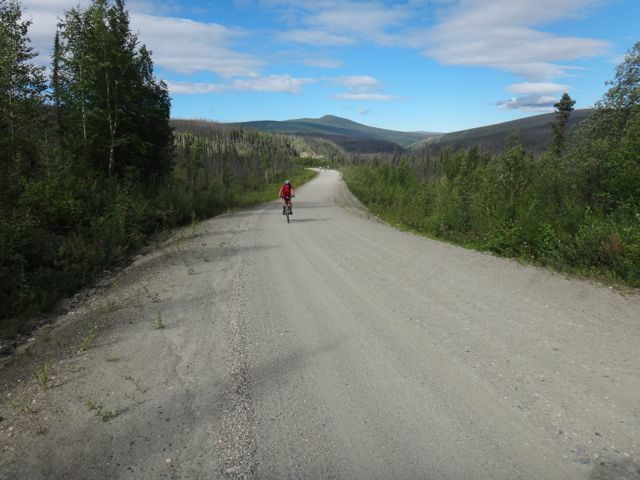 Canoe down the infamous Yukon River from Dawson City YT to Eagle Alaska and return by bike on the Top of the World Highway! Add the Dawson City Music Festival for a well rounded Canadian vacation. Restrictions: Maximum 8 people per departure, passport required. You need to have previous canoeing experience or have recently taken a certified canoe course. 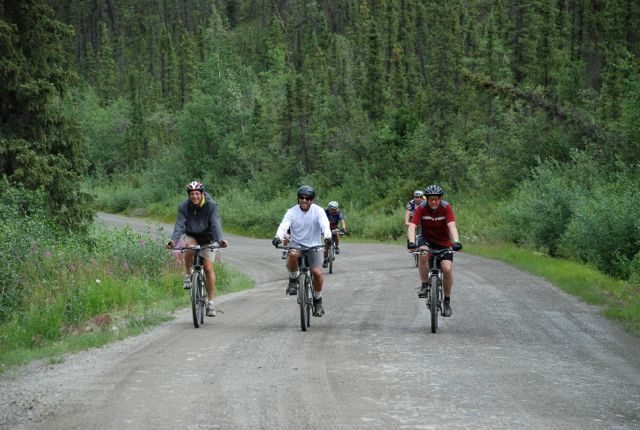 Experience the best of the Yukon Territory with canoeing, biking and live music! Visit historic Dawson City in the heart of the Yukon for a great adventure followed by the optional Dawson City Music Festival. 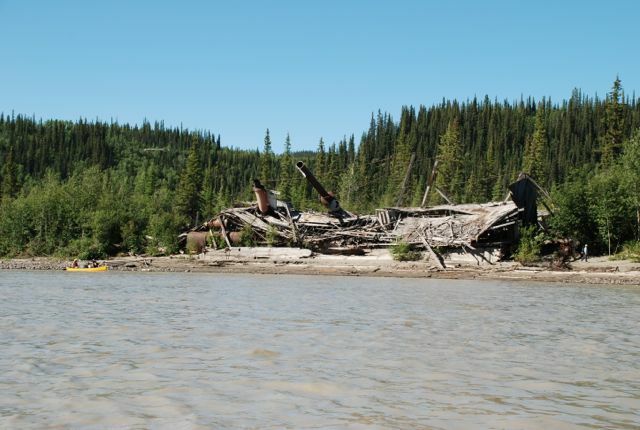 Dawson City was the terminus for the Gold Rush stampeder of 1898, and was once known as the "Paris of the North!" Since 1979, the historic city has held a music festival that draws artists from all over Canada for three days of fun and entertainment. You board your canoe for the four day float on the Yukon River to the town of Eagle, Alaska. The current moves you along at a good clip. There is no whitewater. 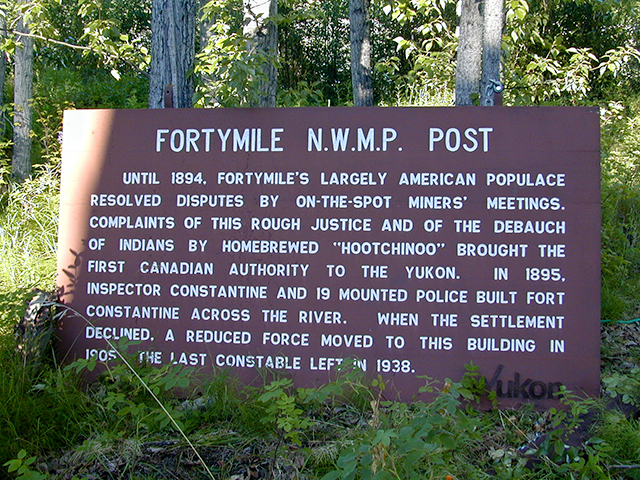 Marvel at the beautiful solitude along the hundred mile river journey, as you camp on the shoreline and visit relics of the area's gold rush past. At the end of the float our van and trailer meets you with hybrid bikes and supplies for the scenic ride back to Dawson City on the Taylor and Top of the World Highways! 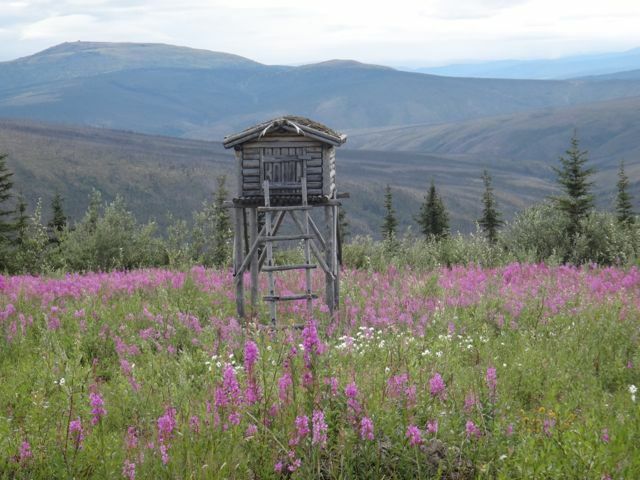 You get stunning views of the Yukon Plateau and a chance to grasp the vastness of a territory the size of California, with a total population of only 30,000 people! 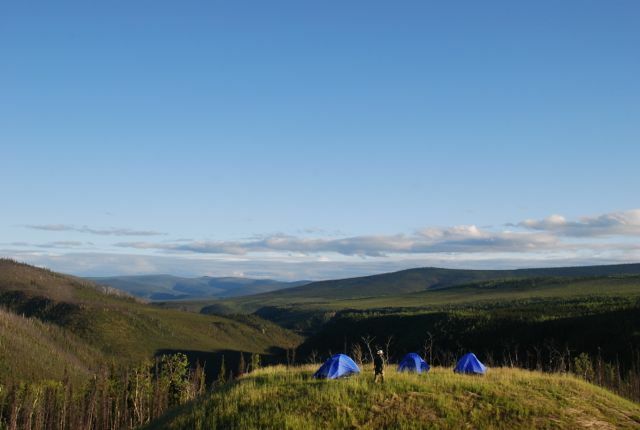 Camp in the alpine tundra and enjoy our unique camping experience with warm meals, great company, and an opportunity to reconnect with nature. Along the way your local guide informs you about the rich cultural and natural history of the area and provides for your needs. The biking portion is fully supported. The route is mixed gravel and paved road. 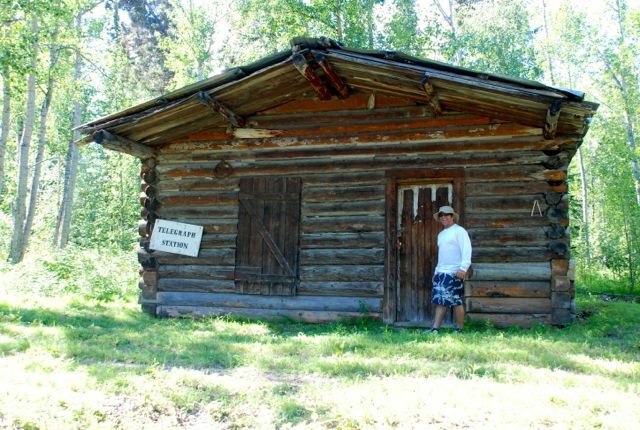 This tour is the perfect combination of activities in the majestic Yukon Territory. Come join us for a memorable adventure! You can opt out of the music festival at the end of the tour and return by plane to Whitehorse. Combine different activities and culture, music, canoeing and biking. Enjoy three relaxing days in Dawson at an entertaining music festival for a truly local experience. Comfortable camping in the Yukon Territory. 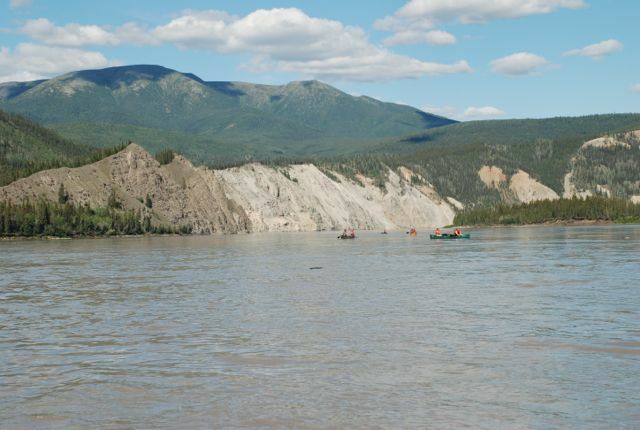 A canoe trip on the infamous Yukon River. Notes: Price includes mountain bike, helmet, canoe, camping gear, van transfers, lodging for all days, meals for non-music festival days (Day 1 lunch to Day 9 breakfast), and music pass. Guests must be confident riding a bicycle with hand brakes on uneven terrain. A passport and other necessary immigration documents are required for this trip. To include the music festival the tour must be booked by May 30th. For more information about travel to Alaska and recommended gear see our trip preparation link. Tour Option 1: Includes the Dawson City Music Festival weekend pass, 3 nights lodging in addition to the Canoe and Bike Tour. Tour Option 2: Without the music festival. 3 Day Music Festival - This fun dual sport adventure begins or ends with the optional three day Dawson City Music Festival. Festival goers fly to Dawson City for the event or end up there after the tour for the festival weeknd. The festival features excellent Canadian musicians, a relaxed atmosphere and a chance to enjoy historic Dawson City. Everyone is on their own schedule for food and fun during the festival. 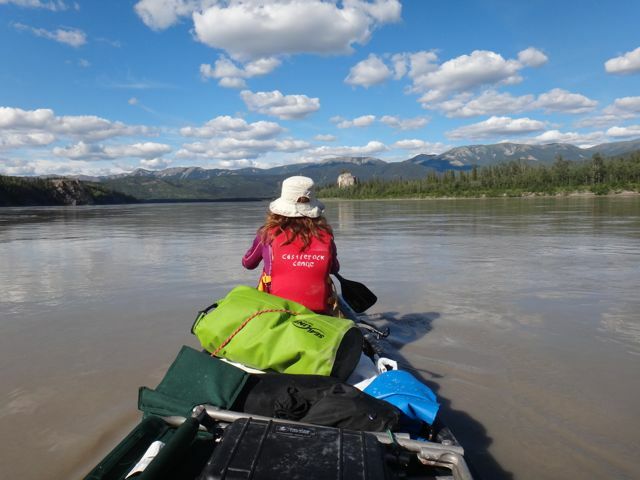 Day 1 - 3 - Early in the morning you put in on the Yukon River and begin your 100 mile float to Eagle, Alaska. Folks joining us for the tour will meet us in Dawson the evening prior or will arrive on the first morning flight from Whitehorse. You spend the next three evenings camping on beaches and visiting historic sites along the river. Day 4 You arrive in Eagle, Alaska and meet our tour van. You check into your B & B and enjoy a hot shower. Bikes are prepped and you get ready for your ride the next day by exploring the historic town on foot or bike. Days 5 - 8 Your day starts with a climb, as you ascend American Pass to your first nights camp. 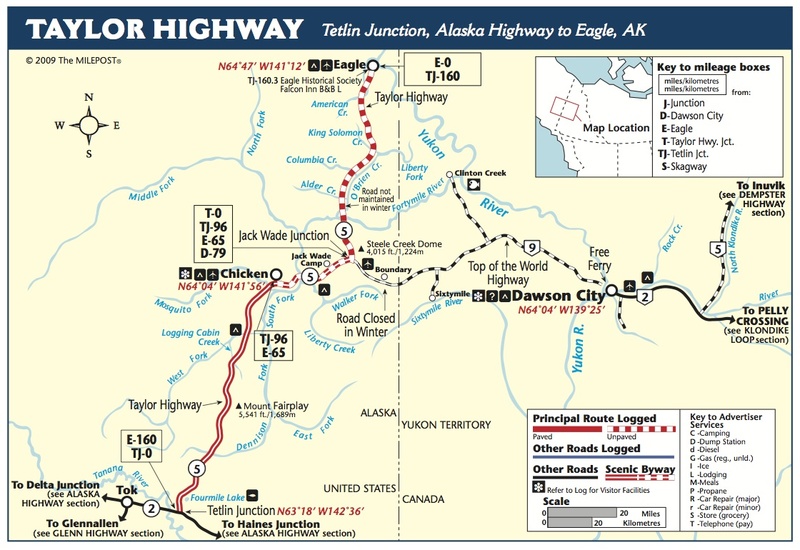 You continue south on the Taylor Highway then you turn onto the Top of the World Highway and cross the US-Canadian border for your next nights camp. 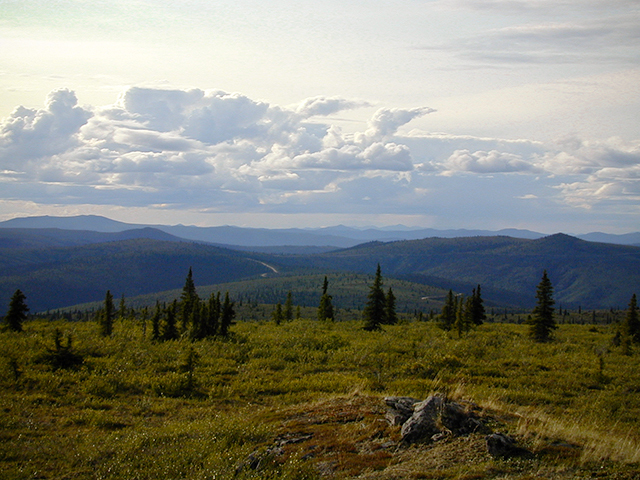 This section provides stunning views across the Yukon Plateau. 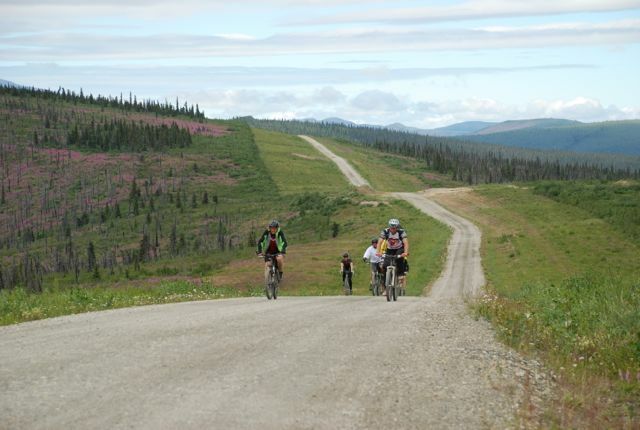 You ride the ridge east, savoring views of the Tombstone Mountains and the Yukon River Valley. Your last day of riding ends with a nine-mile coast to the river and a short ferry ride across to Dawson. You spend the night in the hotel in Dawson. Day 9 After a farewell breakfast you have time to explore Dawson. You depart in the afternoon by plane to Whitehorse or stay for the optional Dawson City Music Festival. You can spend the night in Whitehorse and explore this northern city before you head home. 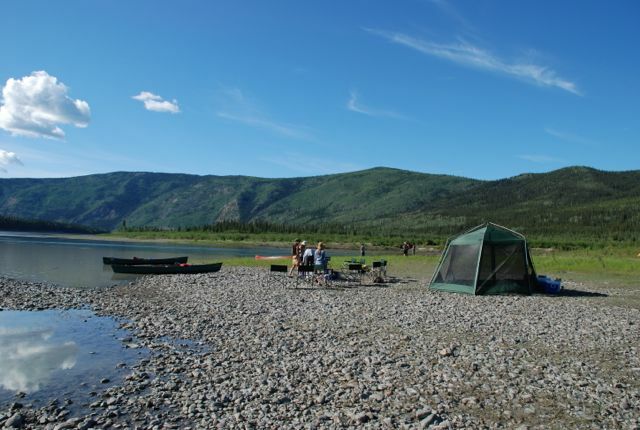 This tour consists primarily of camping along the Yukon River and in campsites along the Taylor and Top of the World Highways. Visit our camping experience to learn more. The Downtown Hotel in Dawson City is located in a building that dates back to Dawson's Gold Rush past. Its comfortable modern rooms blend in with the historic setting. Enjoy entertainment at Diamond Tooth Gerties and dining at the Jack London Dining Room. 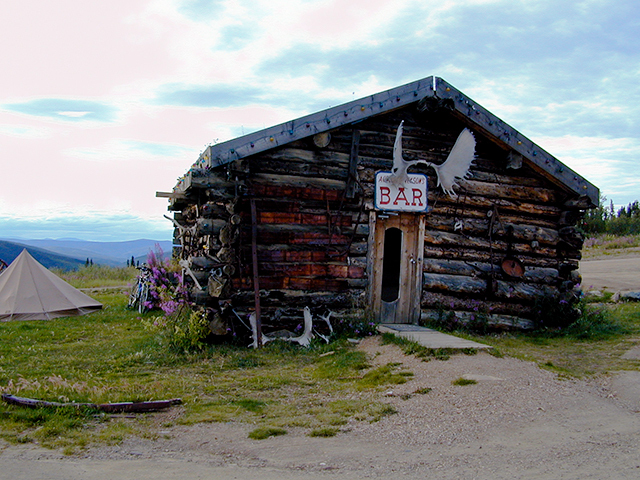 The Falcon Inn is located in Eagle Alaska on the bank overlooking the Yukon River. It is a comfortable B & B with rustic charm. You'll have time to bike or stroll around the community and visit the historic fort.